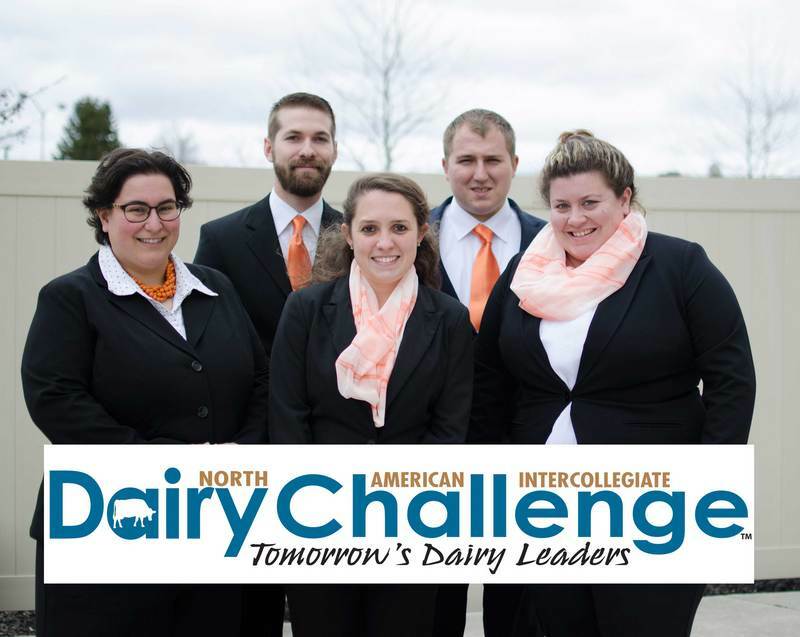 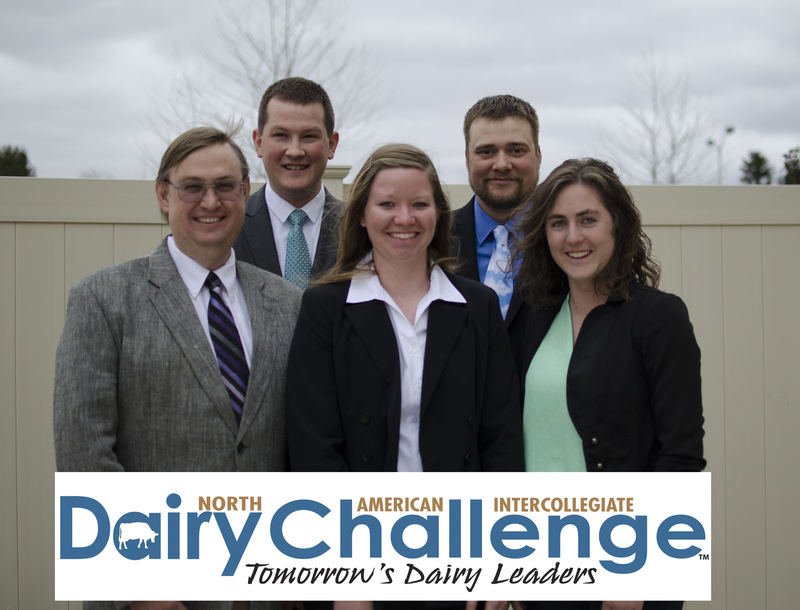 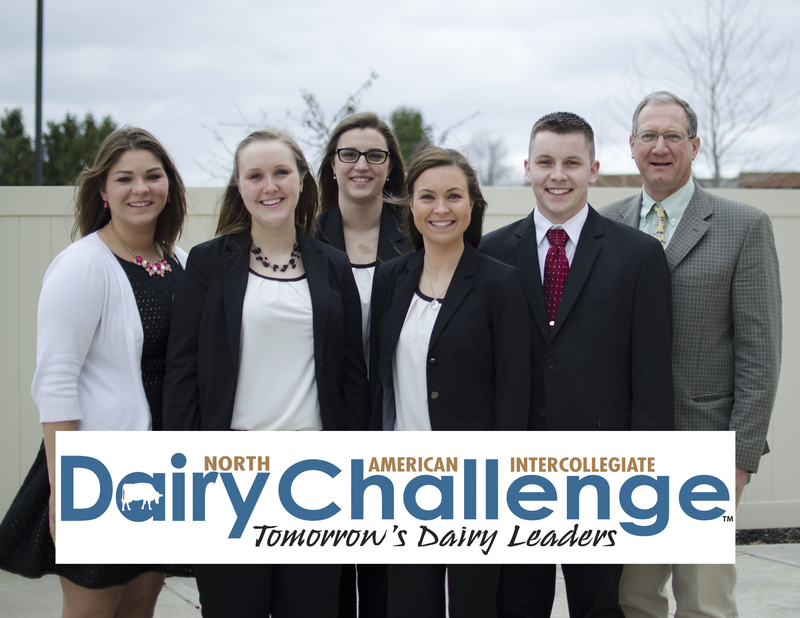 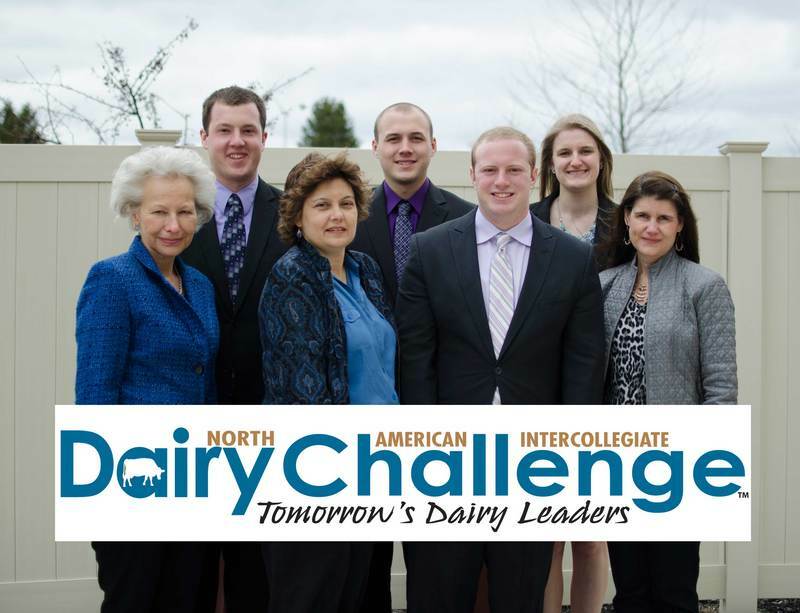 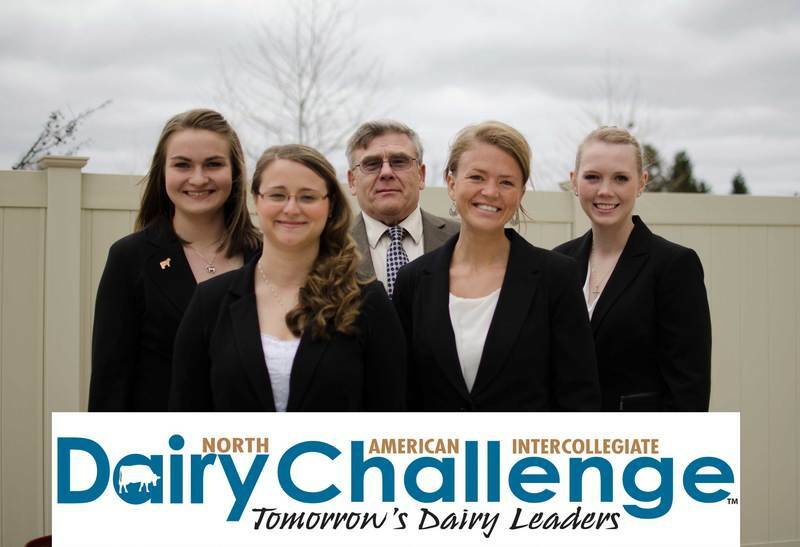 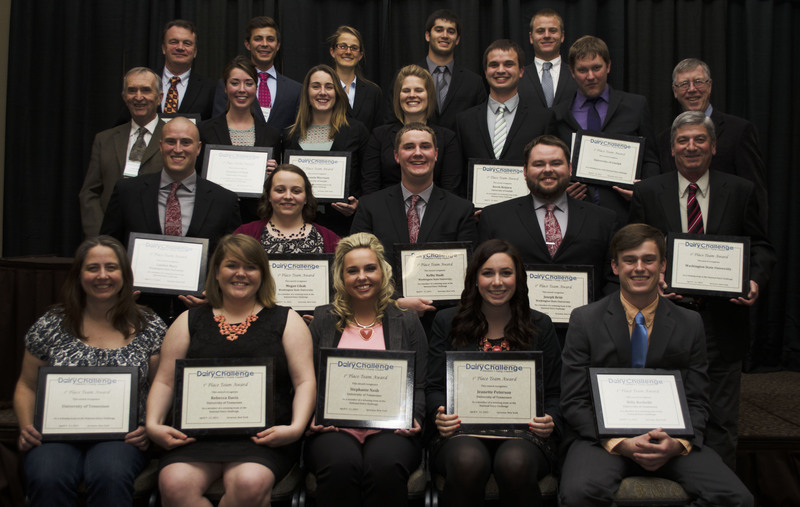 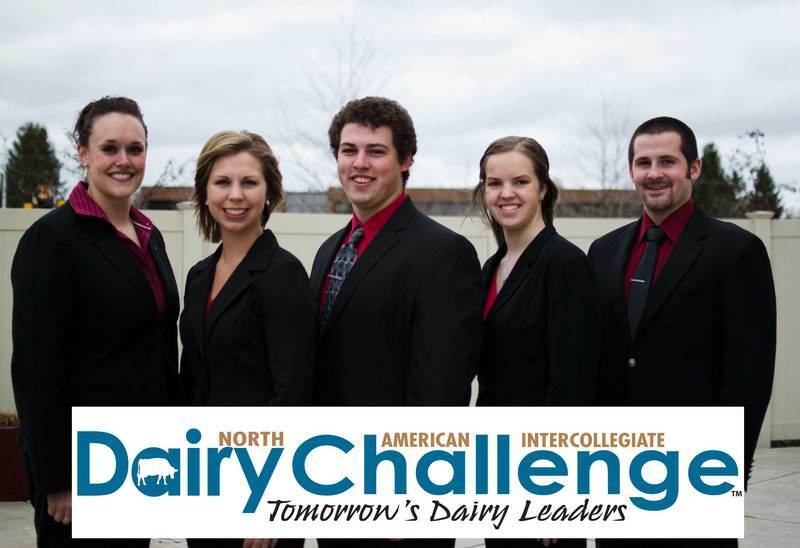 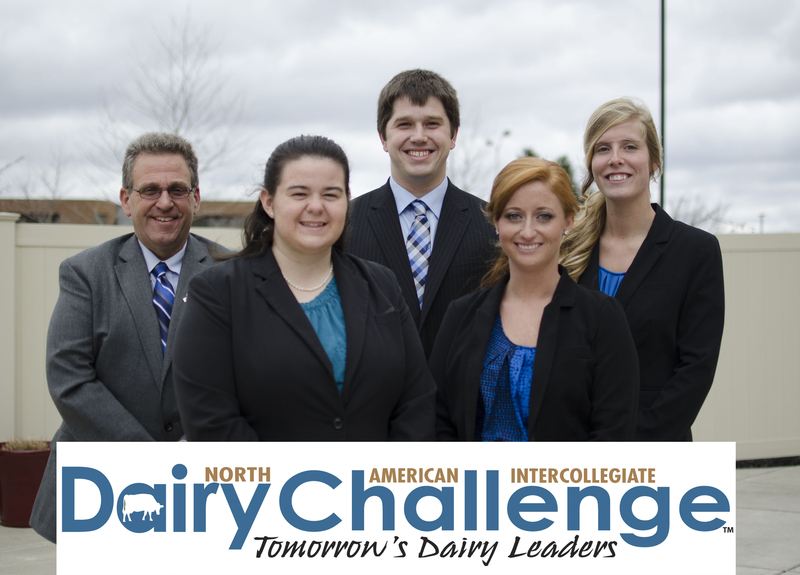 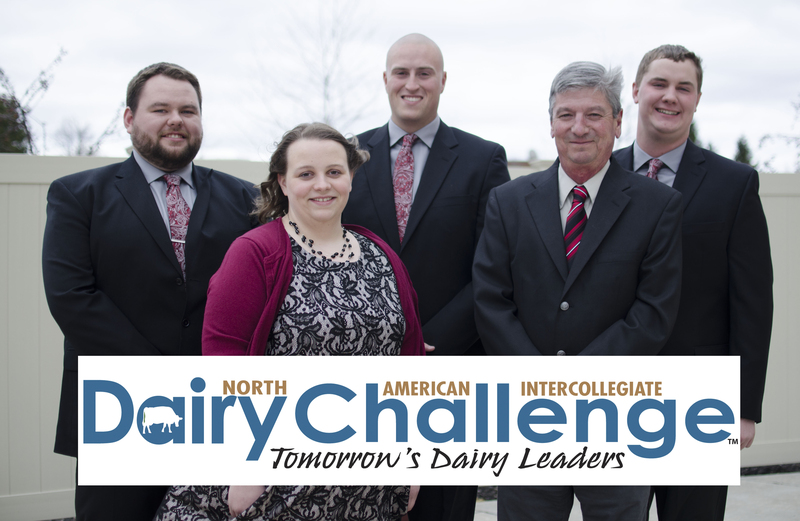 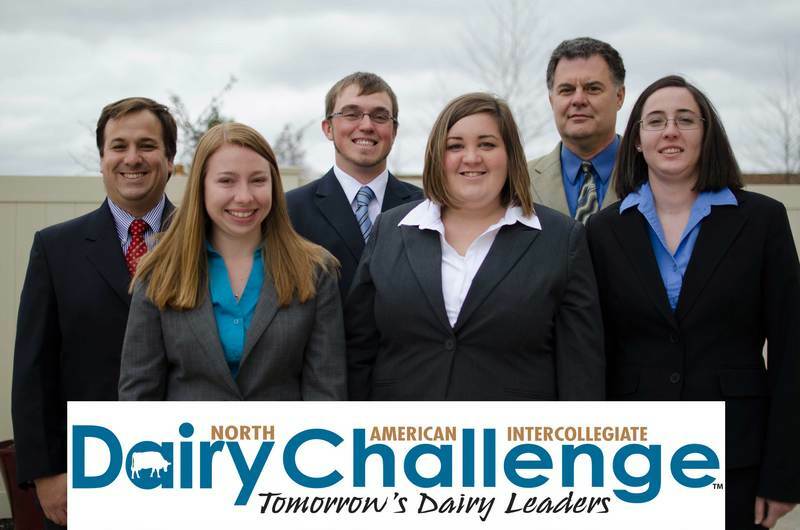 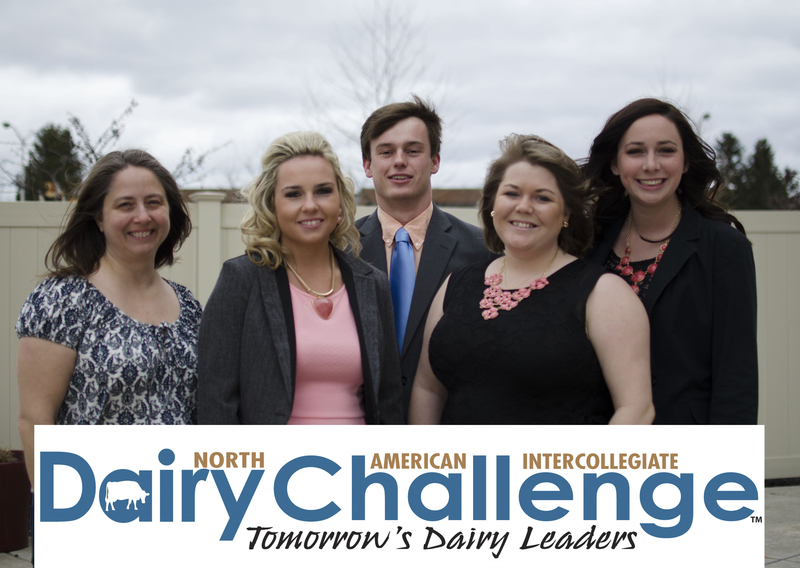 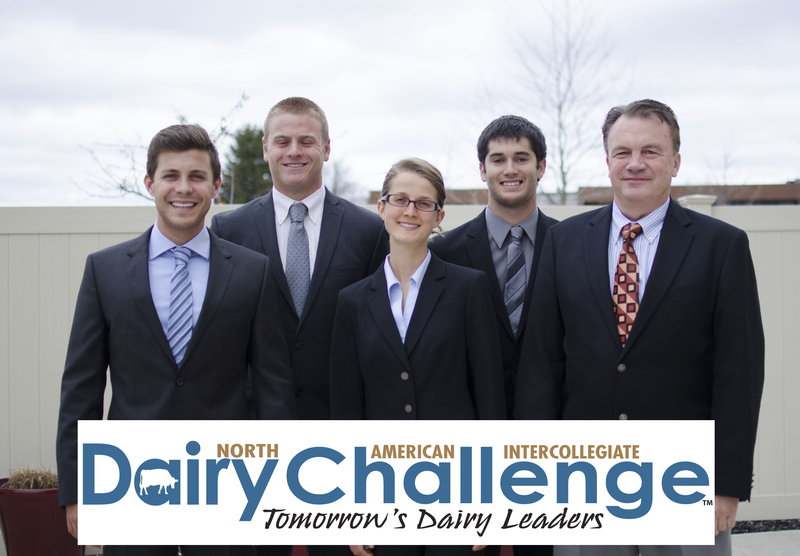 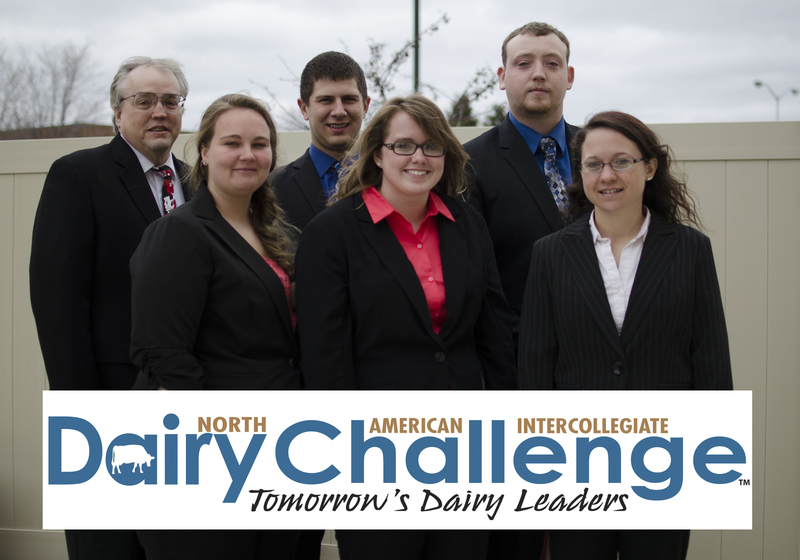 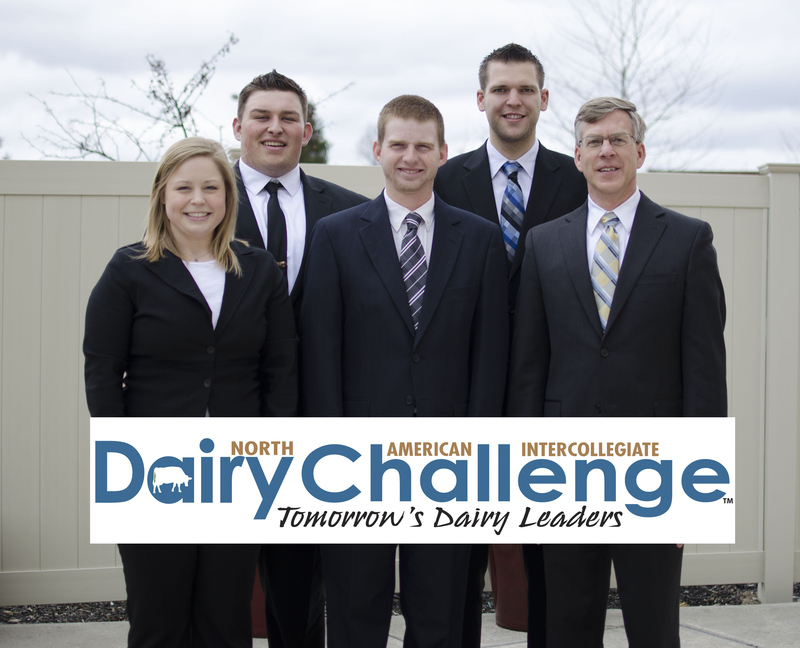 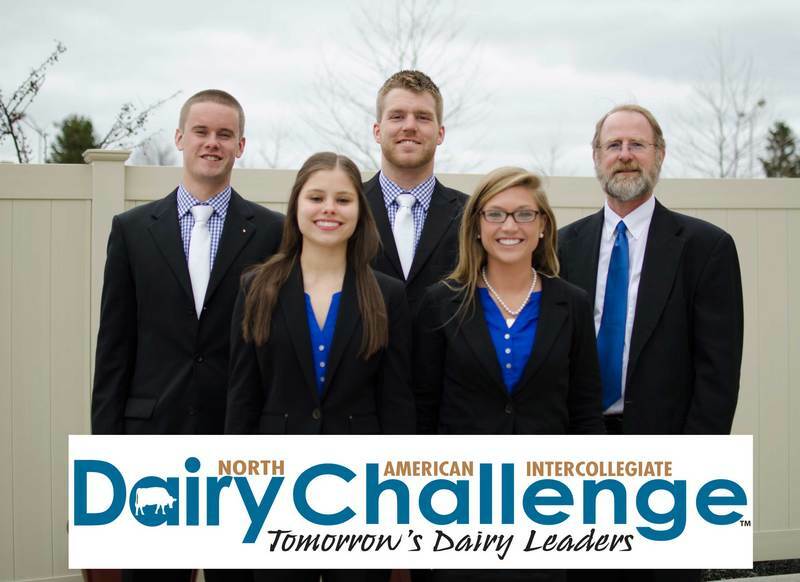 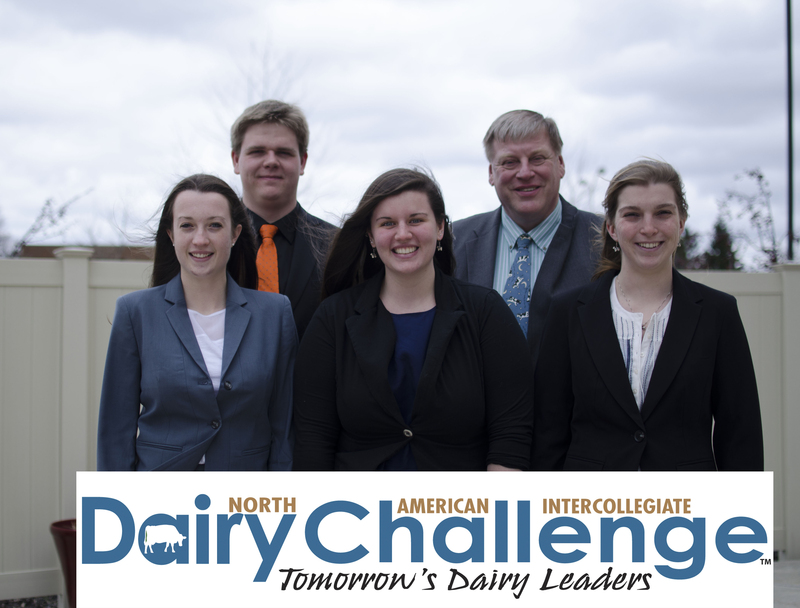 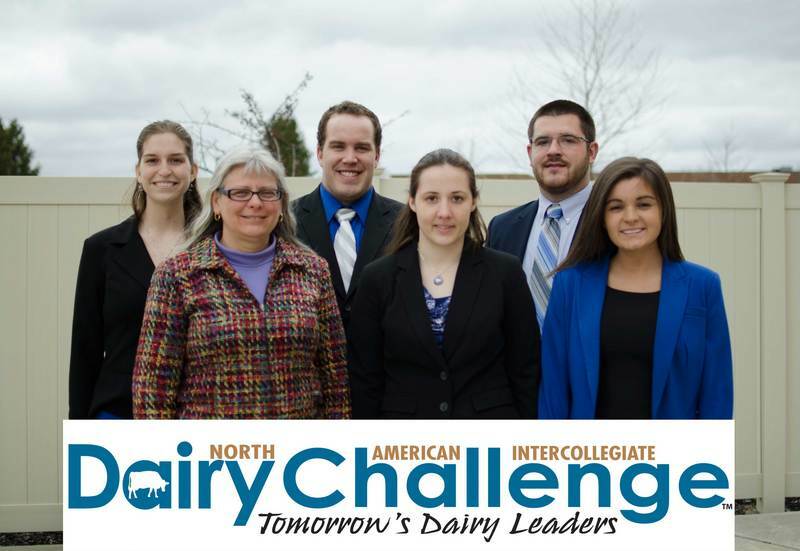 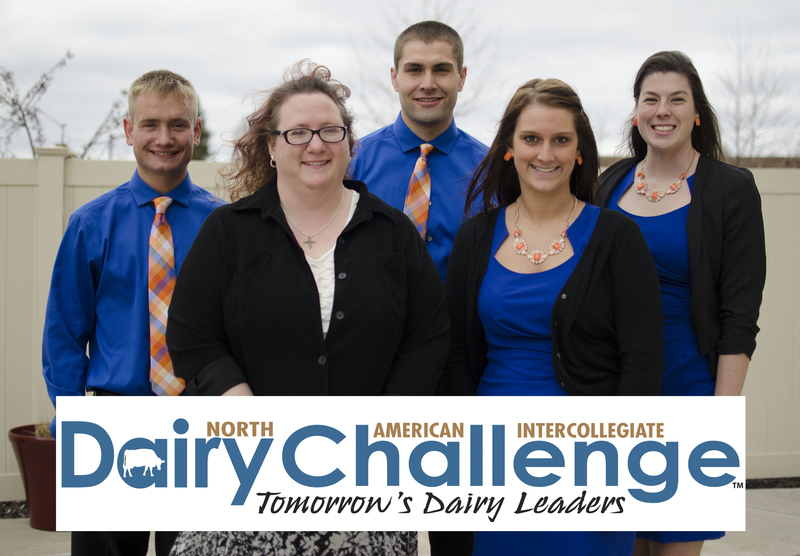 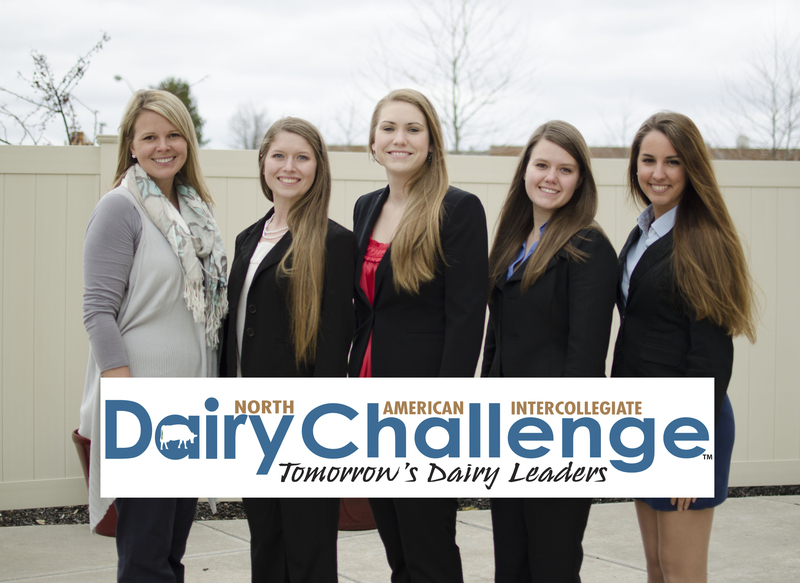 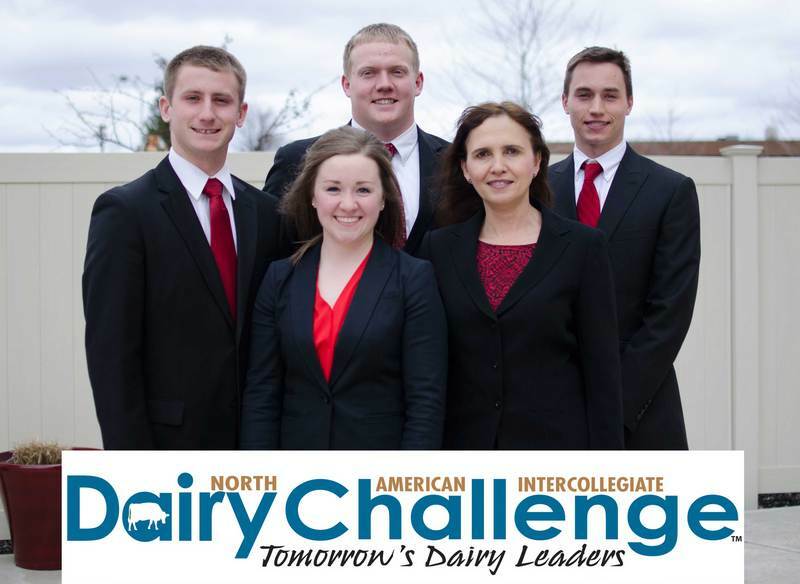 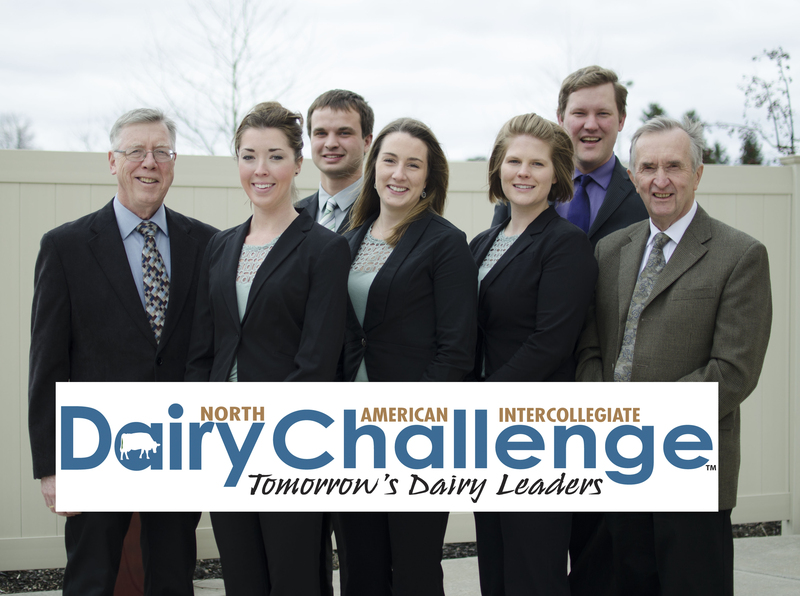 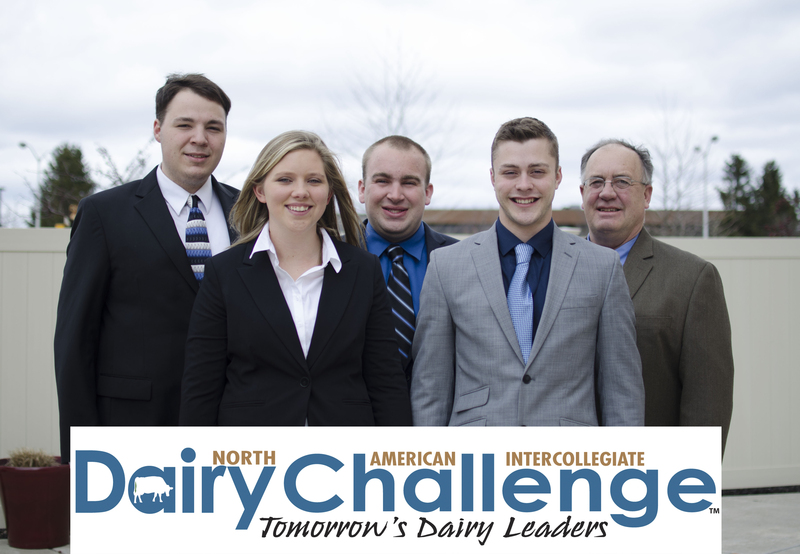 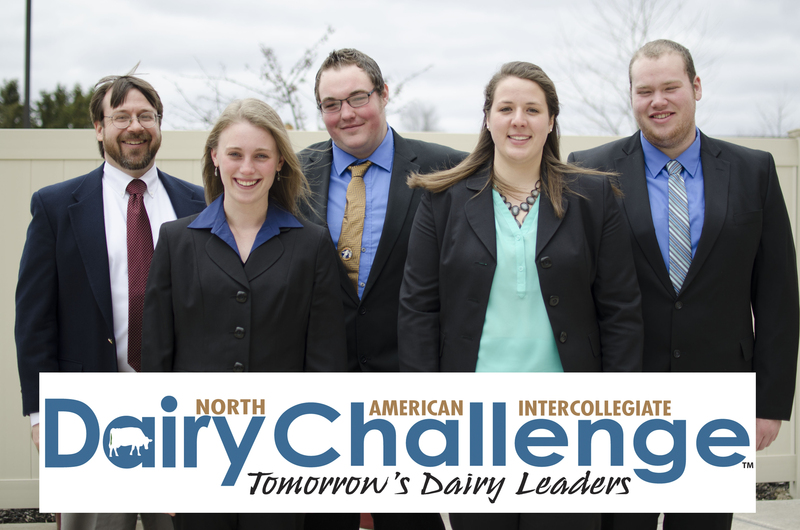 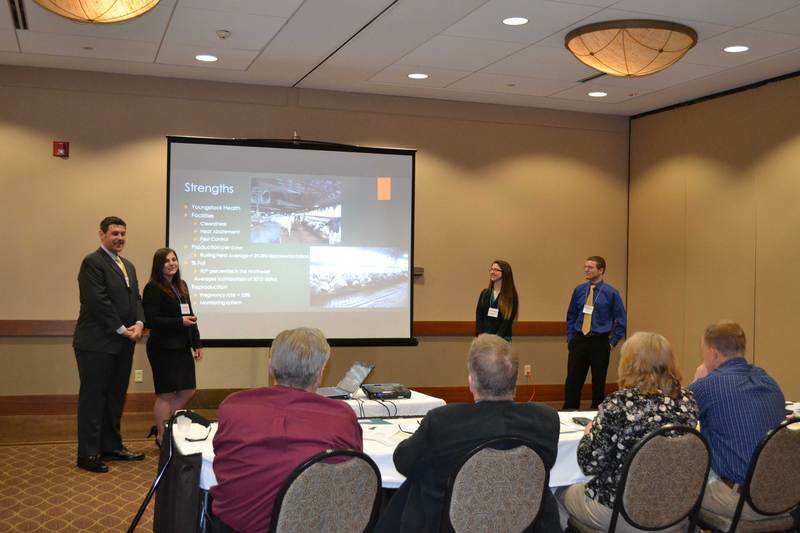 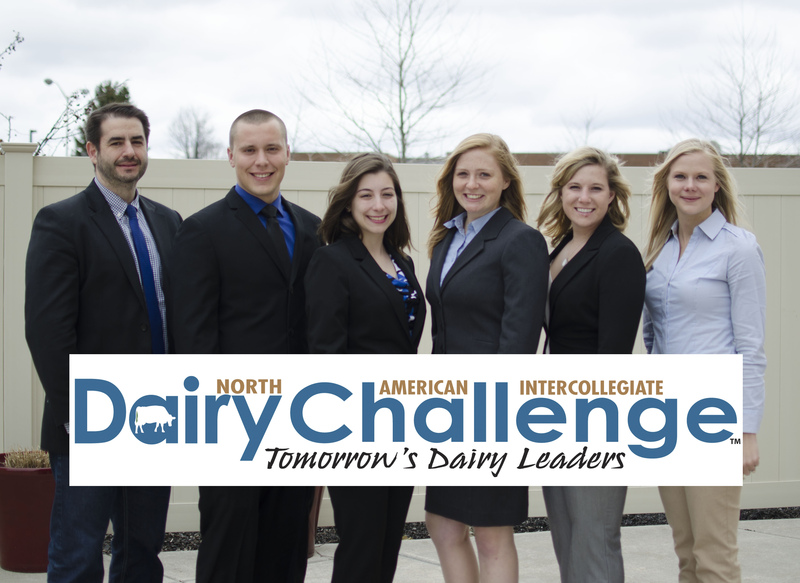 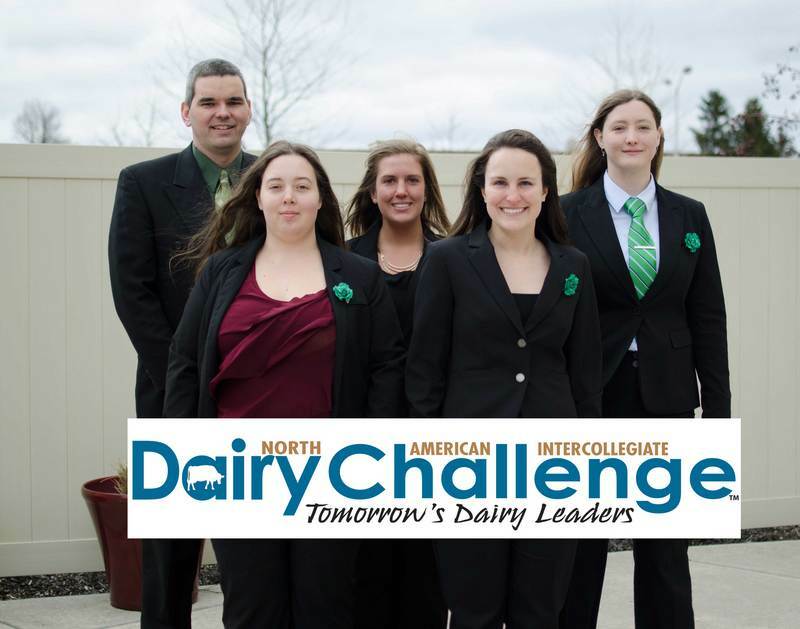 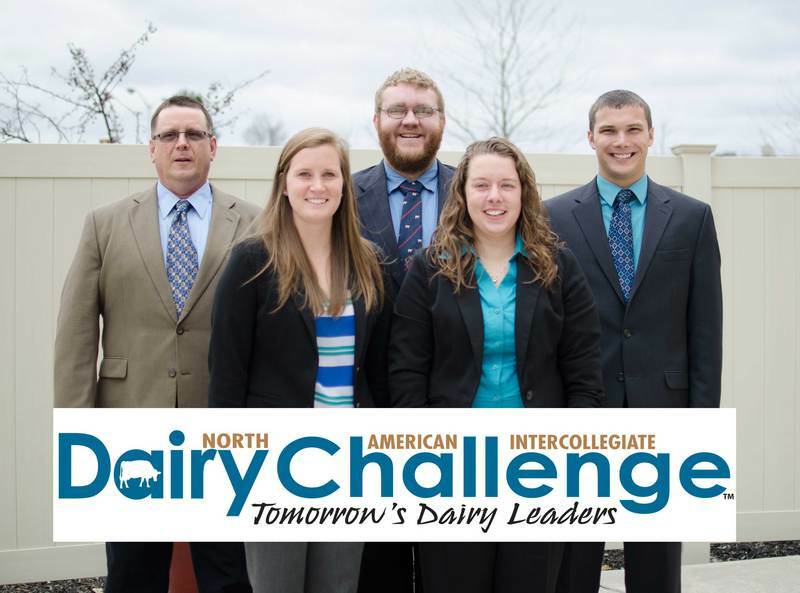 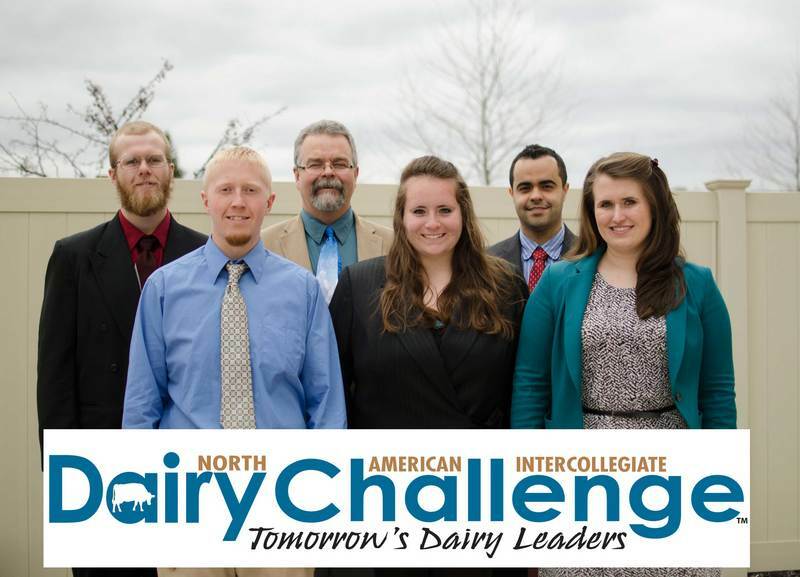 Earning first place honors at the 2015 North American Intercollegiate Dairy Challenge� were teams from California Polytechnic State University, University of Guelph, University of Tennessee and Washington State University. 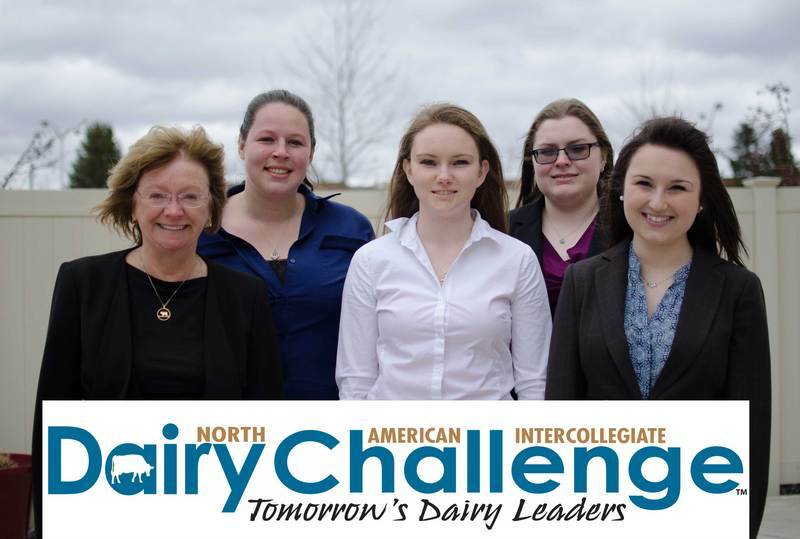 First Row Row (L-R) from University of Tennessee: Coach Gina Pighetti, Rebecca Davis, Stephanie Nash, Jeanette Peterson and Billy Rochell. 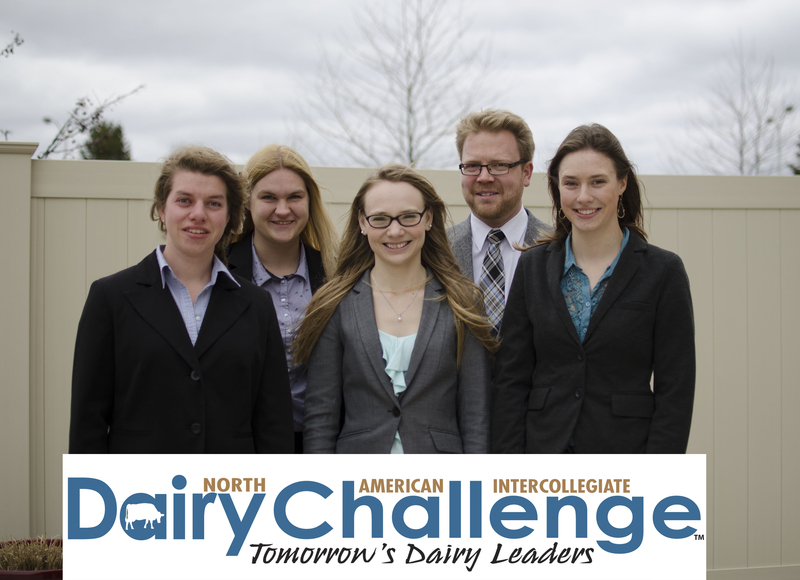 Second Row Row (L-R) from Washington State University: Landon Macy, Megan Cihak, Kelby Stadt, Joseph Britt and Coach John Swain. 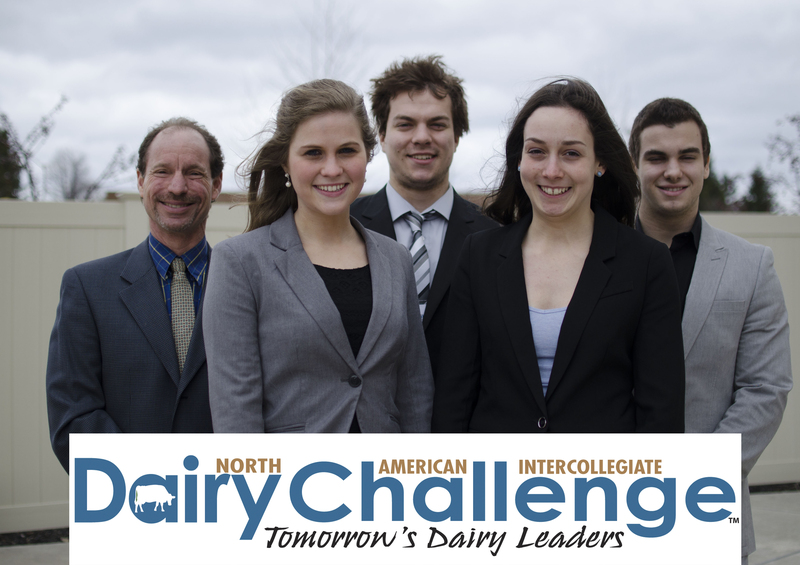 Third Row Row (L-R) from University of Guelph: Coach John Walton, Courtney O�Neil, Myranda Morrison, Laura Donkers, Kevin Reijnen, Coach Mark Carson and Coach Ken Leslie. 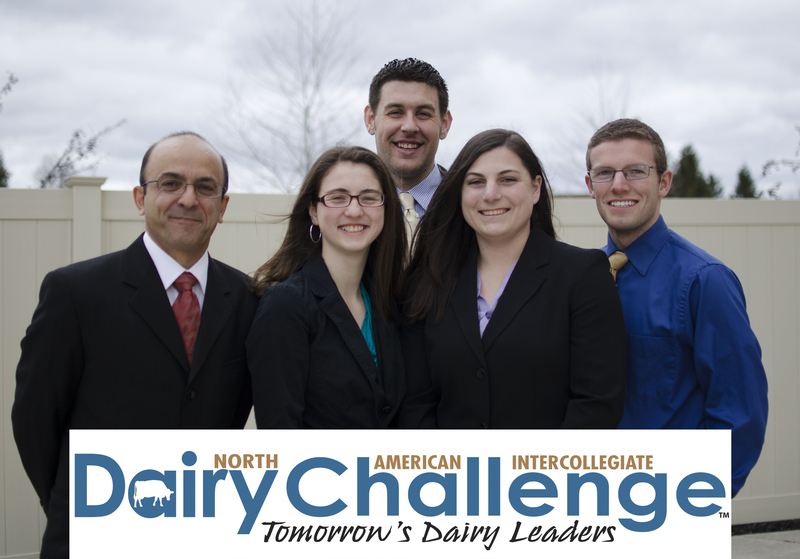 Fourth Row Row (L-R) from California Polytechnic State University: Coach Stan Henderson, Preston Fernandes, Amy McBirney, Anthony Alamo and Russell Pate. 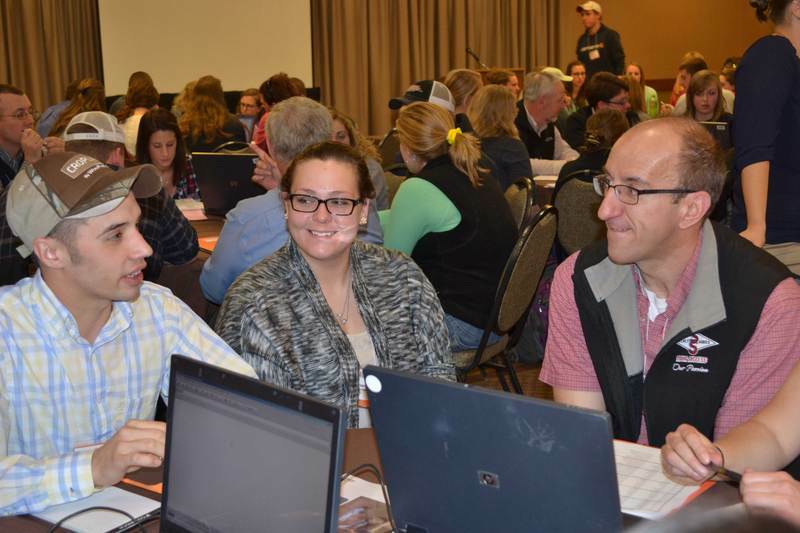 Kirk Sattazahn (right) of Select Sire Power serves as an Academy Advisor for the 2015 Dairy Challenge Academy, where students work in mixed-university teams and conduct a dairy farm business analysis. 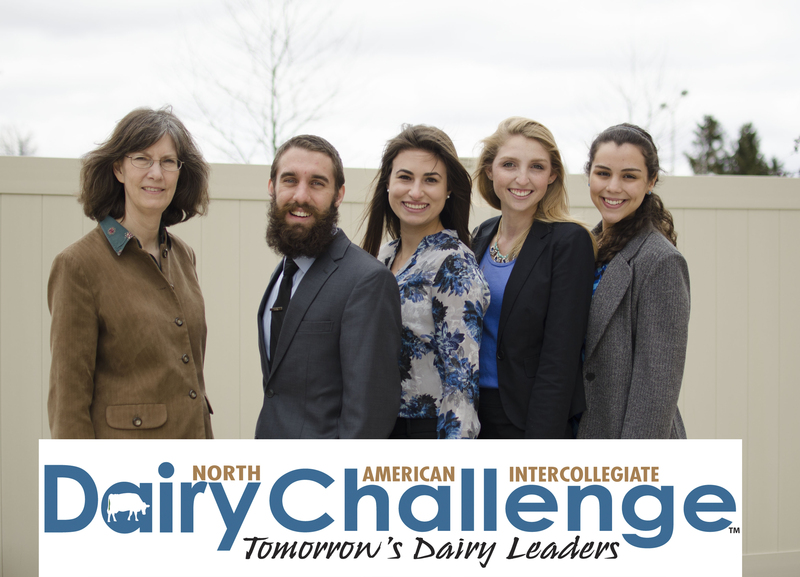 Dairy Challenge Academy students tour Venture Farms LLC in Tully, NY. Team members from University of Idaho discuss their management recommendations with the judge panel, which included a farmer, financial expert, veterinarian and other dairy professionals. 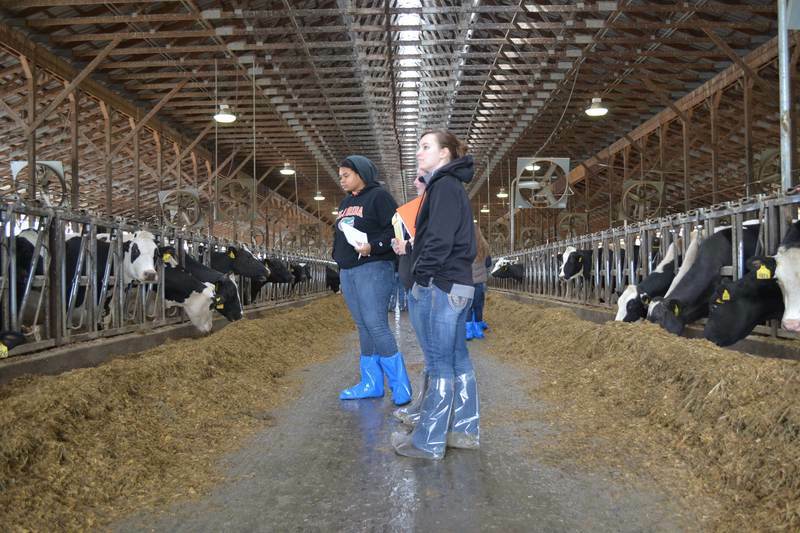 Students assess calves at Patterson Farms, Inc. located in Auburn, NY. 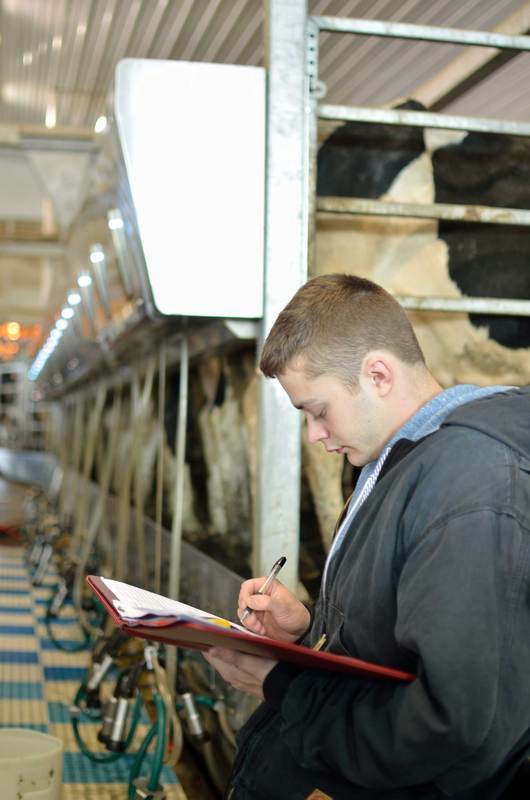 Dairy Challenge participant, Joseph Mulcahy of University of Wisconsin-Madison, reviews milking procedures during the on-farm evaluation. 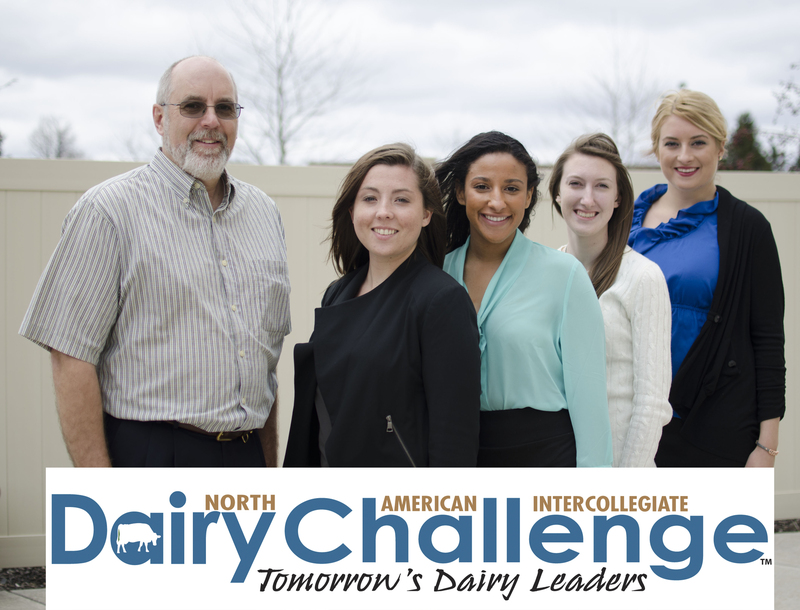 Ron Robbins (middle), owner of North Harbor Dairy in Sackets Harbor, NY, poses with team members from the University of New Hampshire. 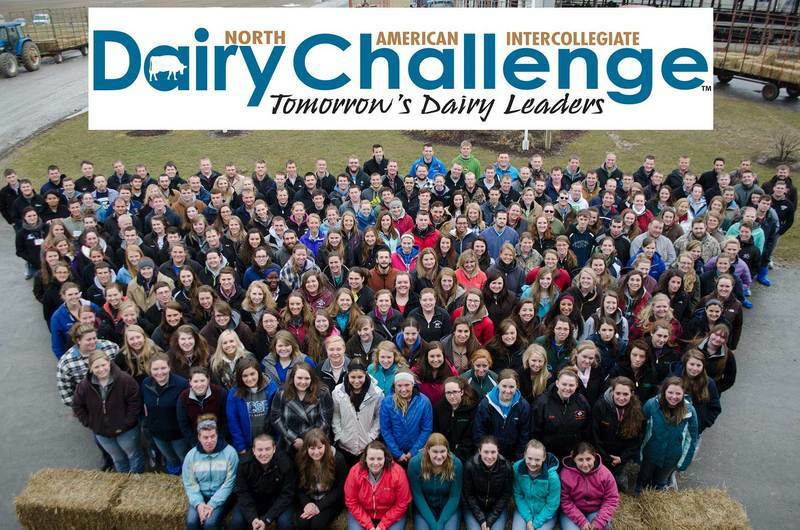 Dairy Challenge contest and Academy students join together for a tour and group photo at Spring Hope Dairy. 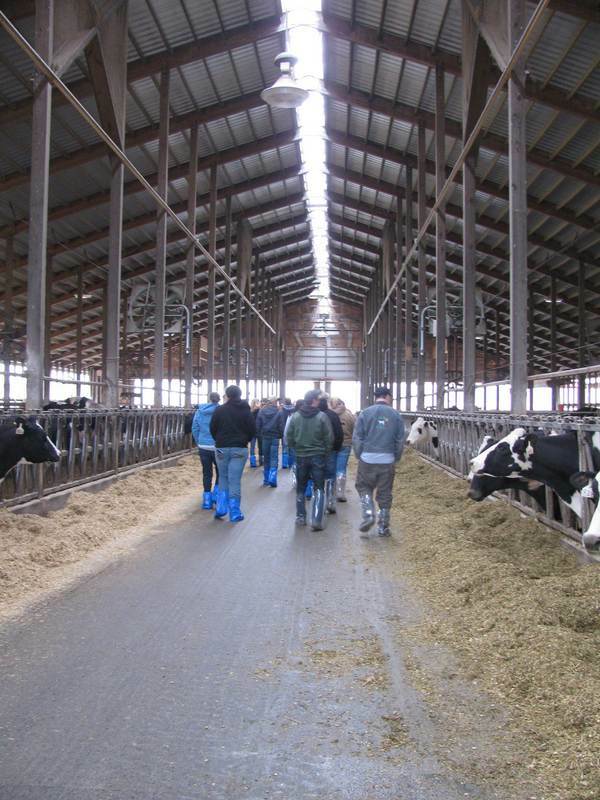 Spring Hope Dairy in Clifton Springs, NY hosted a tour of the operation along with learning stations for contest and Academy students. 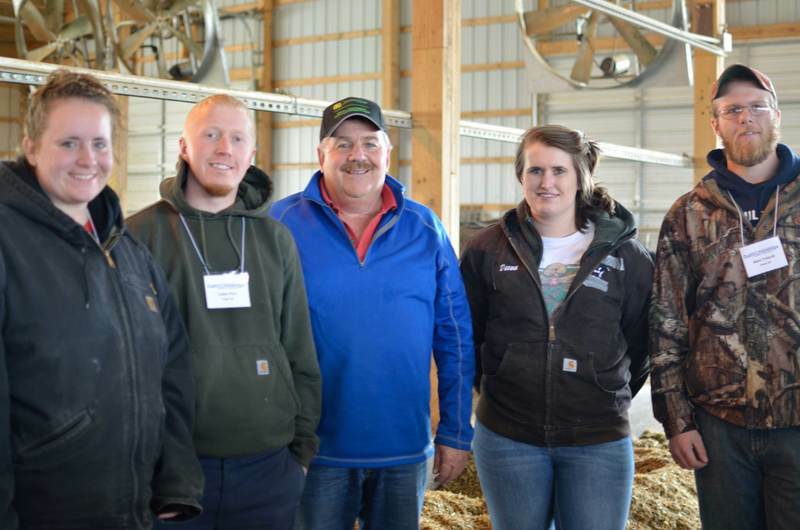 Four younger farmers shared their experiences of starting or entering a dairy operation. 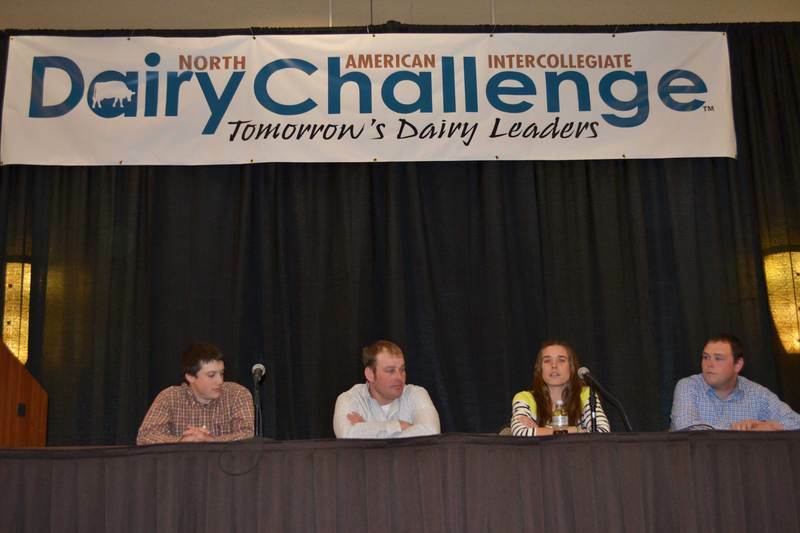 Panelists included Ryan Clark of Tyrone, Pa., Jordan Fisher of Madrid, NY, Luke Getty of Hudson Falls, NY and Jessica Slaymaker of Mansfield, Pa.
One of four first-place teams at 2015 NAIDC.